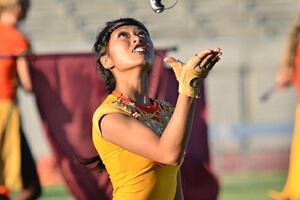 • In just the corps' fourth trip to California since DCI's founding in 1972, the Cadets have been laying claim to the top spot at Pacific events. Narrowly edging the Blue Devils on June 21 in Albuquerque, N.M. by just a tenth of a point, the Cadets went 1.1 ahead of BD on June 26 in Stockton, Calif. • Santa Clara Vanguard and Phantom Regiment were close at all of last week's events. After Regiment came out 1.5 ahead of SCV at the season opener in Texas, the two corps tied for third place on June 24 in Clovis, Calif. Phantom once again widened the gap to 1.5 points on June 26 in Stockton, Calif.
• Troopers, who finished three spots below the Glassmen at the end of the 2010 season, are hanging tight with the Toledo corps in early-season match-ups. On June 26 in Lisle, Ill., the Troop came within two tenths of the Glassmen. • Blue Devils B has come out of the 2011 starting blocks about two points ahead of its West Coast rival Santa Clara Vanguard Cadets. 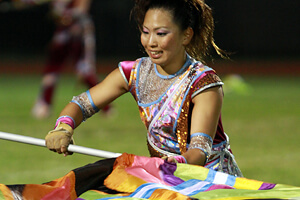 Though after facing a deficit of more than three points in early-season 2010 events, Vanguard Cadets managed to finally overtake BDB last year on July 17. 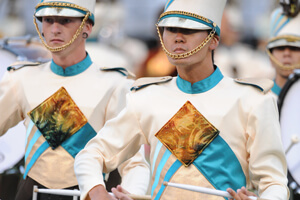 • Madison Scouts have been on a rapid rise. The corps scored four points ahead of Boston Crusaders on June 26 in Old Bridge, N.J., which was a 1.8 improvement from its score the night before in Arlington, Va. • The Cavaliers dominated the Midwest this past week. 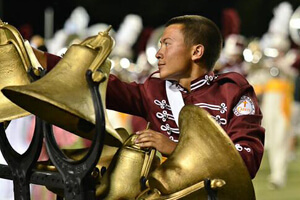 On Sunday in Lisle, Ill., the corps finished 2.9 points ahead of second place Carolina Crown, and was just two tenths below the Cadets' high score of the week on the same day in California. 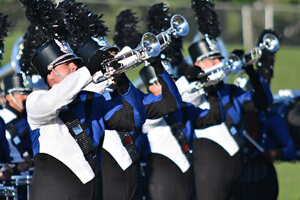 • Bluecoats who came within .4 of overtaking Carolina Crown in Grand Rapids, Mich. on June 25, will have had two days of rehearsals behind them when they're back in action on Tuesday, June 28 in Woodbury, Minn. against a lineup including the Cavaliers and Blue Stars. • Corps making their first performances of the season this week: 7th Regiment (June 27, Bridgeport, CT), Blue Saints (July 1, Oswego, IL), Cascades (July 1, Hillsboro, OR), City Sound (July 2, Walnut, CA), Colts (June 28, Woodbury, MN), Gold (July 1, Oceanside, CA), Impulse (July 1, Oceanside, CA), Legends (July 1, Oswego, IL), Oregon Crusaders (June 29, Medford, OR), Spartans (June 27, Bridgeport, CT), Thunder (July 1, Hillsboro, OR), Velvet Knights (June 28, Atascadero, CA) View all of last week's scores and recaps. Oceanside, CA Hillsboro, OR Oswego, IL Quincy, MA Saturday, July 2 Seattle, WA Walnut, CA Michigan City, IN Lynn, MA Sunday, July 3 Spokane, WA Bristol, RI Riverside, CA Cedarburg, WI Photos by Chris Maher, CorpsReps.com and Jolesch Photography.